Louis’ remission officially finished in November 2017. 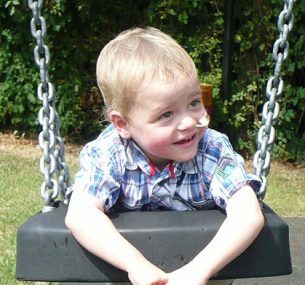 He went to Great Ormond Street Hospital for a five year scan of his heart and all was well. He is a fit, healthy young boy and is growing as expected. He does not stop eating, but never puts on an ounce of weight. He is a great little dancer (although he won’t thank me for telling you that!). He enjoys swimming, Scouts, cycling, being a Ninja Turtle, school football and making things. 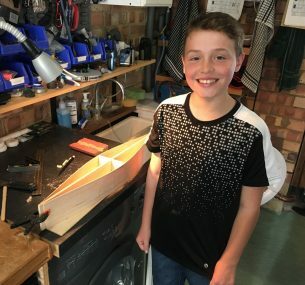 He recently made a ship for a school project out of balsa wood. He really enjoys school and throws himself into everything. 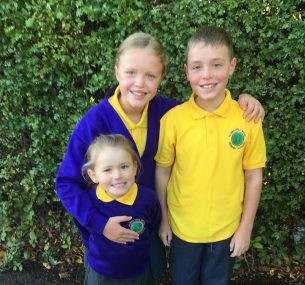 Grace and Louis are in their last year of primary school, which feels unreal to us. His sisters are keeping him in check (most of the time). His idea of a perfect Saturday night, is an evening at home with all the family sitting together watching TV and eating sweets. We need to treasure this time, as in a few years he will be off with his friends on a Saturday night! We’d had a lovely holiday in France with our 19 month old twins, Louis and Grace. But on our return, Louis wasn’t himself. There were dark red bruises on his body and he looked pale, tired, had no appetite and was waking a lot in the night. Within five days he had 30 small bruises all over his body and he was sent for blood tests. 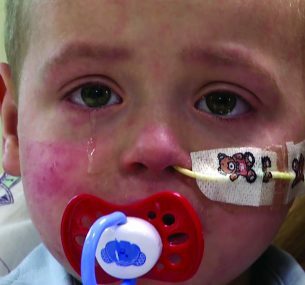 On 10 September 2009, after just five days of feeling ‘under the weather’, Louis was diagnosed with leukaemia. After a bone marrow aspirate on 15 September we were told it was acute lymphoblastic leukaemia. As you can imagine, our whole world instantly fell apart and we were devastated. Louis however, reacted remarkably to all of this and always has a smile to give. We arrived at hospital on Friday 11 September and within hours the night nurse had fallen in love with him. He would blow kisses at the nurses, shake hands with the doctors, laugh and tickle them and he fell in love with the night nurse, Tiffany, or Tiff-Tiff as Louis called her. We have received such love and support from friends, family and strangers alike. Since then, he has shown such courage and strength of character, which is what will get us through this. We have received such love and support from friends, family and strangers alike. If we are sure of one thing, it’s that Louis will fight this and he will get better. His fighting spirit is getting stronger the older he gets. He’s been on treatment for 20 months now and he battles on each day without a fuss. He does fight us terribly when he has bloods done or chemo when he has to be held down, but we have always seen this as a positive thing. As we see it, that’s him fighting the leukaemia with that same determination – and Louis will win the fight. Louis’ treatment will finish in November 2012. Most of his treatment so far has been as an outpatient but he gets infections roughly every six weeks and we then have to be admitted for three day spells for tests and antibiotics. We decided to set up a website as a way of updating everyone in one go. We want to make sure the majority of our time is devoted to Grace and Louis and focusing on getting Louis better. Grace has been a huge part of this. She greets him with a hug and a kiss and a massive smile. When they’re apart, when Louis is in hospital, she makes cakes for him and always speaks to him on the phone to say goodnight and good morning. They miss each other terribly but have adapted so well over the past 20 months. Because they were so little when it first happened, they have grown up with it. It’s just part of our lives now. Grace recently told me ‘my little brother has leukaemia’. We never speak about Louis’ leukaemia in front of them and we have always been mindful not to leave her out, so she does come to all the hospital appointments and is very much a part of his treatment. Being three, and a typical little girl, she must have heard the phrase somewhere and copied it. Lots of people have asked what they can do to help. Louis has had several blood and platelet transfusions and all we would say is, if you are able, please give blood as a small way of helping. If we are sure of one thing, it’s that Louis will fight this and he will get better – we have no doubt. We’ve also been doing lots of different things to raise money for Children with Cancer UK and everyone’s been so generous. So far we’ve raised over £16,500 towards the important research they’re funding. Family and friends have done this by running a half marathon, the London Marathon, a 10K run and a sponsored sky dive. We would like to say a massive thank you to our family and friends who have supported us so far. We will get through this and Louis will be a ‘normal’ little boy by the time he starts school. 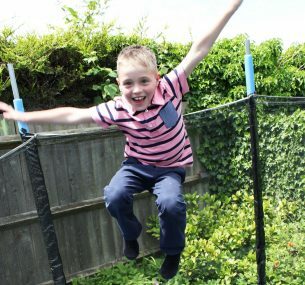 It’s now 2013 and four years after Louis was diagnosed with ALL and he is now in remission – hooray! He has four more years of remission to go but we are really positive and hopeful all will be fine. He looks amazing, full of cheek, mischief and energy like any other five year old. He loves school, street dancing, children’s parties and after-school clubs. Learning to live with Louis being on treatment was a big adjustment. The hardest thing was not being able to plan anything for fear of disappointment. Louis would be fine all day, spike a temperature and then spend three days in hospital. taking the nasal gastric tube out three and a half years later – that was a very emotional day for all of us. A year on, Louis is stronger and healthier than ever. He is very cheeky, funny, head strong and really loves being outside. I think he got used to this on treatment as it was the safest place not to catch germs. Nothing fazes him. He is great with new people, new situations and environments and I think he will go through life with nothing standing in his way. 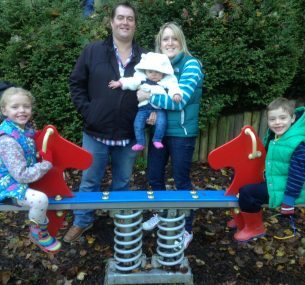 Grace and Louis now have a nine month old baby sister – a real gift at the end of such a difficult time for our family. Rosie is spoilt daily with kisses, cuddles and attention and she was a perfect addition to our family at a time when we needed to learn to be normal again. We will never take the simple things in life for granted and we cherish all our family time. July 2015, two and a half years into remission! 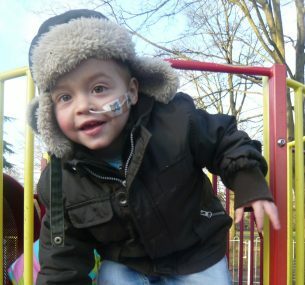 Louis is now two and a half years into remission and it’s is hard to believe that he ever had leukaemia. He is now seven and a half years old and loves: playing outside, football, Beavers, Climbing trees, parties, cycling, scooting and swimming. It is so nice to see him enjoy things he could never do on treatment. He never stops eating, which I thought I would never see. He had a nasogastric tube for three and a half years because he would not eat on treatment. He’s now gained half a stone in seven months which is the first significant weight gain since treatment finished in 2012! He had a check-up last week and the consultant was delighted with him and all is well. He is doing really well at school and enjoys looking after other children. Because of what he went through, he is very conscious of other children who may be a little bit different or who may need a bit of extra time spent with them. 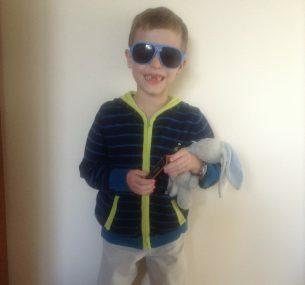 He is a cheeky, funny little boy with a great sense of humour and he doesn’t stop talking. Louis likes nothing better than to re-count something that happened or tell a story in graphic detail. He does talk about when he had leukaemia and does remember parts of the treatment. We talk about it freely and assure him that he’s all better now. Louis’ younger sister, Rosie started school in the reception class in the same school as Louis and Grace. Grace and Louis are starting in year 5 and are looking forward to seeing Rosie around school. Looking forward to mid-November when Louis goes for his final remission checks. That will mark the end of his five years, which will be a huge milestone. 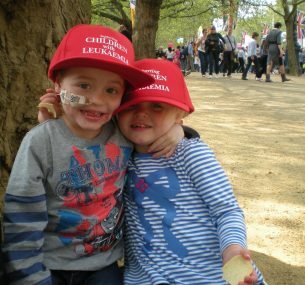 Childhood Cancer survivor Louis and his twin sister Grace explain what Precision Medicine is, a project being funded by Children with Cancer UK.